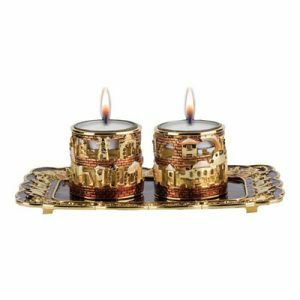 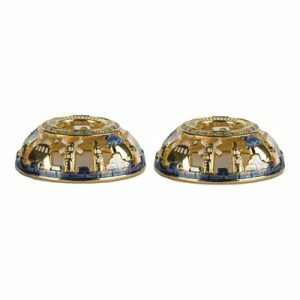 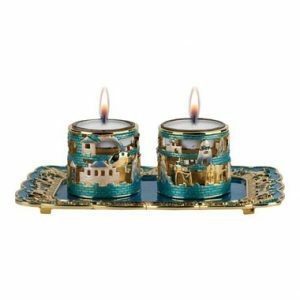 These multi-tiered Pewter candle-holders are decorated in iridescent Enamel colors, 24kt gold and Sapphire Crystals, and feature Old Jerusalem motifs. 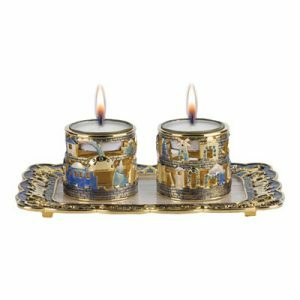 These Pewter Candlesticks are decorated in iridescent Enamel colors, 24kt gold, Sapphire Crystals and feature Old Jerusalem motifs. 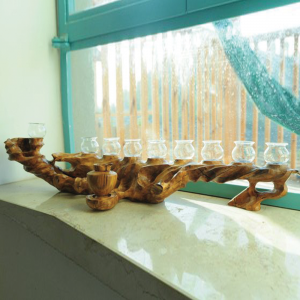 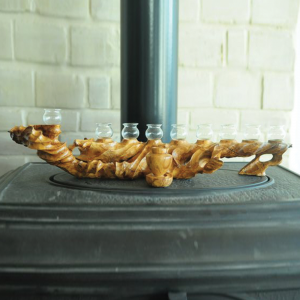 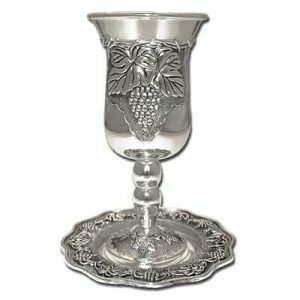 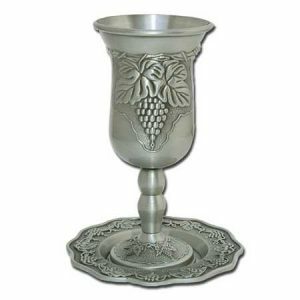 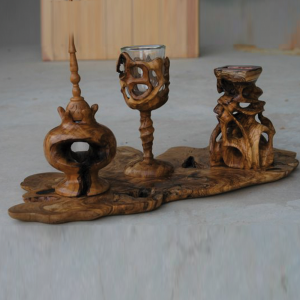 This beautifully Kiddush cup decorated with grapevine design. 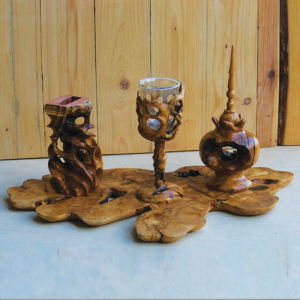 Beautiful as a gift or to treasure for your own.